In the Montessori classroom this objective is approached in two ways: first, by allowing each child to experience the excitement of learning by his own choice rather than by being forced; and second, by helping him to perfect all his natural tools for learning, so that his ability will be at a maximum in future learning situations. The Montessori materials have this dual long-range purpose in addition to their immediate purpose of giving specific information to the child. Woodlands Montessori School North is in the River Place Subdivision along the St. Lucie River in Port Saint Lucie, Florida. River Place on the St. Lucie is a 293 acre master planned community in the St. James area of northern Port St. Lucie. Native wilderness preserves and dense oak hammocks establish an “Old Florida” lifestyle that distinguishes River Place from other communities including its family friendly lifestyle. Here, 113 acres of River Place is dedicated to open, natural preserves which are threaded by almost 2 miles of nature trails, woodlands for hiking, and wetlands for canoeing and kayaking. River Place is situated on the North Fork of the St. Lucie River, an acclaimed fishing retreat, where a lazy riverboat ride is just (just in case synonym) minutes from home. 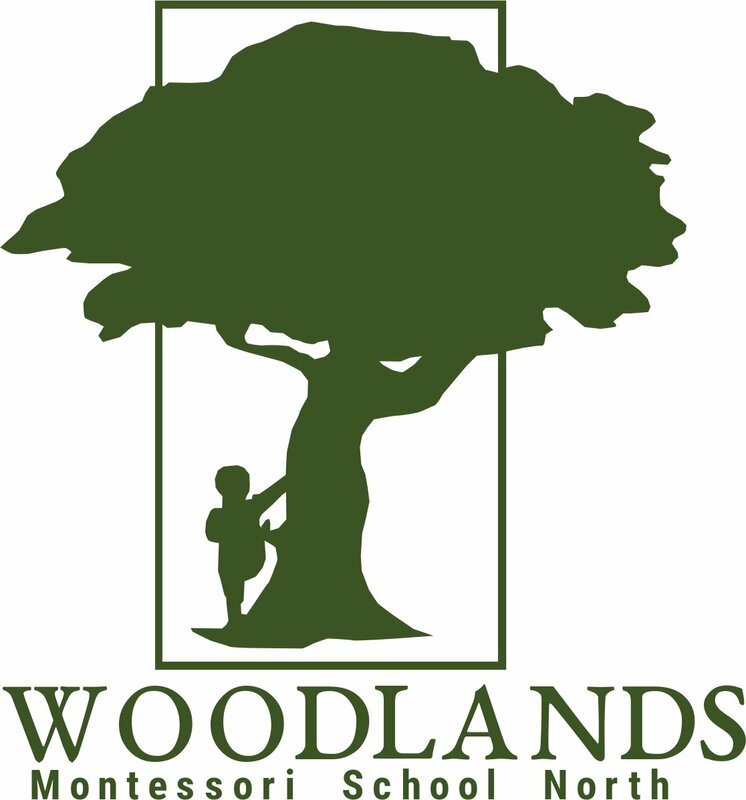 Woodlands Montessori School was originally founded in 1975 in Tamarac, Florida. After several years of teaching and planting a love of learning, Woodlands Montessori School North was brought to Port Saint Lucie, Florida. Established in 2005, Woodlands has provided a safe, nurturing and encouraging environment to the Treasure Coast. Unlike other franchise daycares or preschools, Woodlands Montessori School North is a family owned and operated Private Montessori School. Mrs. Diane, Peduto, Owner and on-site Director holds her Montessori certification from AMS. 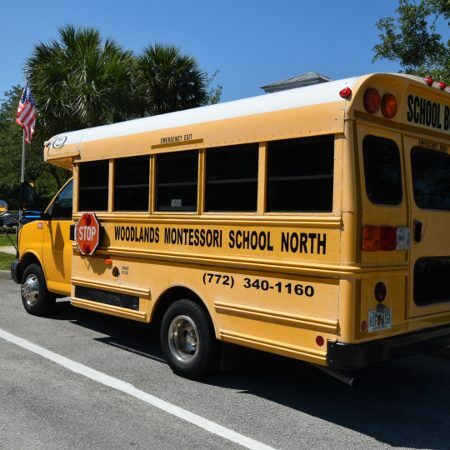 With over 30 years of experience managing Woodlands Montessori School including both locations, Mrs. Diane has brought the first Montessori School to the City of Port Saint Lucie. Our hope is that when you tour with us, meet Mrs. Diane and the staff, you will fall in love with our school family, sense of community and belonging. Woodlands School follows the 10 standards set by NAEYC to help parents make the right choice for their child. We are always in compliance with the Florida statues that approve our annual license to operate a facility or program. The use of the materials is based on the young child’s unique aptitude for learning which Dr. Montessori identified as the “absorbent mind.” In her writings she frequently compared the young mind to a sponge. It literally absorbs information from the environment. The process is particularly evident in the way in which a two year-old learns his native language, without formal instruction and without the conscious, tedious effort which an adult must make to master a foreign tongue. Acquiring information in this way is a natural and delightful activity for the young child who employs all his senses to investigate his interesting surroundings. Since the child retains this ability to learn by absorbing until he is almost seven years old, Dr. Montessori reasoned that his experience could be enriched by a classroom where he could handle materials which would demonstrate basic educational information to him. Over sixty years of experience have proved her theory that a young child can learn to read, write and calculate in the same natural way that he learns to walk and talk. In a Montessori classroom the equipment invites him to do this at his own periods of interest and readiness. Dr. Montessori always emphasized that the hand is the chief teacher of the child. In order to learn there must be concentration, and the best way a child can concentrate is by fixing his attention on some task he is performing with his hands. (The adult habit of doodling is a remnant of this practice.) All the equipment in a Montessori classroom allows the child to reinforce his casual impressions by inviting him to use his hands for learning. In The Absorbent Mind, Dr. Montessori wrote, “The most important period of life is not the age of university studies, but the first one, the period from birth to the age of six. For that is the time (race against time meaning) when man’s intelligence itself, his greatest implement is being formed. But not only his intelligence; the full totality of his psychic powers. . . At no other age has the child greater need of an intelligent help, and any obstacle that impedes his creative work will lessen the chance he has of achieving perfection.” Recent psychological studies based on controlled research have confirmed these theories of Dr. Montessori. After analyzing thousands of such studies, Dr. Benjamin S. Bloom of the University of Chicago, wrote in Stability and Change in Human Characteristics, “From conception to age 4, the individual develops 50% of his mature intelligence; from ages 4 to 8 he develops another 30%. This would suggest the very rapid growth of intelligence in the early years and the possible great influence of the early environment on this development.” Like Dr. Montessori, Dr. Bloom believes “that the environment will have maximum impact on a specific trait during that trait’s period of most rapid growth.” As an extreme example, a starvation diet would not affect the height of an eighteen year old, but could severely retard the growth of a one year-old baby. Since eighty percent of the child’s mental development takes place before he is eight years old, the importance of favorable conditions during these years can hardly be over emphasized. Another observation of Dr. Montessori’s, which has been reinforced by modern research, is the importance of the sensitive periods for early learning. These are periods of intense fascination for learning a particular characteristic or skill, such as going up and down steps, put ting things in order, counting or reading. It is easier for the child to learn a particular skill during the corresponding sensitive period than at any other time in his life. The Montessori classroom takes advantage of this fact by allowing the child freedom to select individual activities which correspond to his own periods of interest. Although the entrance age varies in individual schools, a child can usually enter a Montessori classroom between the ages of two and one half and four, depending on when he can be happy and comfortable in a classroom situation. He will begin with the simplest exercises based on activities which all children enjoy. The equipment which he uses at three and four will help him to develop the concentration, coordination and working habits necessary for the more advanced exercises he will perform at five and six. The entire program of learning is purposefully structured. Therefore, optimum results cannot be expected either for a child who misses the early years of the cycle, or for one who is withdrawn before he finishes the basic materials described here. Parents should understand that a Montessori school is neither a baby-sitting service nor a play school that prepares a child for traditional kindergarten. Rather, it is a unique cycle of learning designed to take (take with a grain of salt meaning) advantage of the child’s sensitive years between three and six, when he can absorb information from an enriched environment. A child who acquires the basic skills of reading and arithmetic in this natural way has the advantage of beginning his education without drudgery, boredom or discouragement. By pursuing his individual interests in a Montessori classroom, he gains an early enthusiasm for learning, which is the key to his becoming a truly educated person. Copyright © Woodlands Montessori School North - All Rights Reserved.